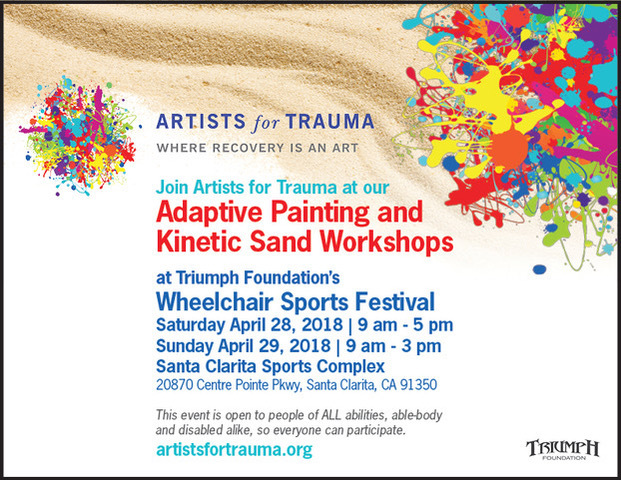 Are you coming out to play and get your creative on with Artists For Trauma Amazing Adaptive Painting and Kinetic Sand Workshop at Triumph Foundation‘s Wheelchair Sports Festival is on April 28th & 29th? ➡The event is FREE and open to people of ALL abilities to participate, so the whole community can play together. Fun for your whole family and all your friends!